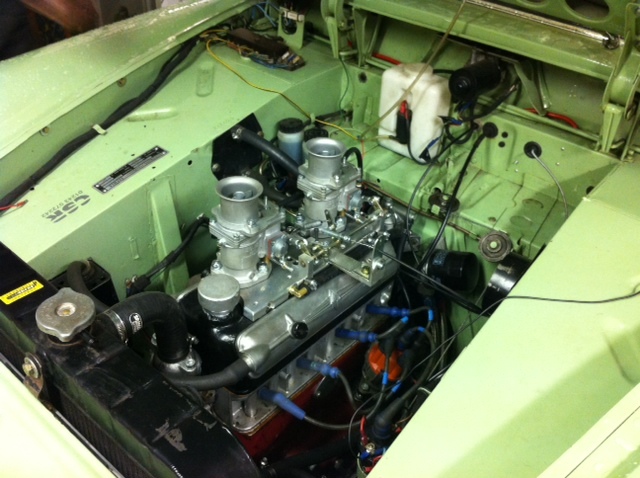 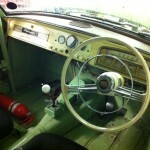 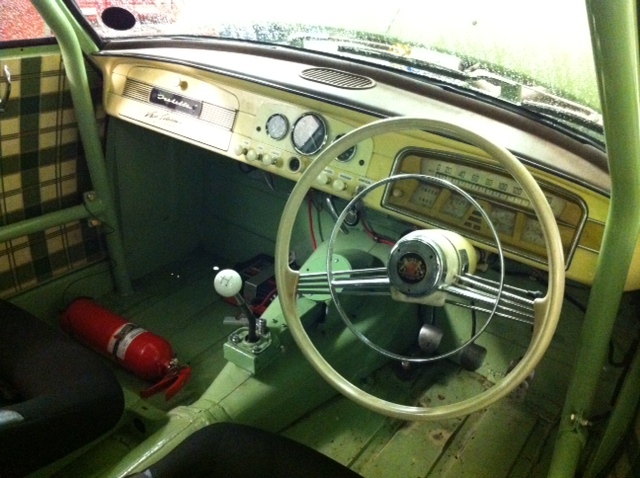 Gavin has been very busy building a twin carburetor setup for his stunning 1500cc Borgward Isabella. 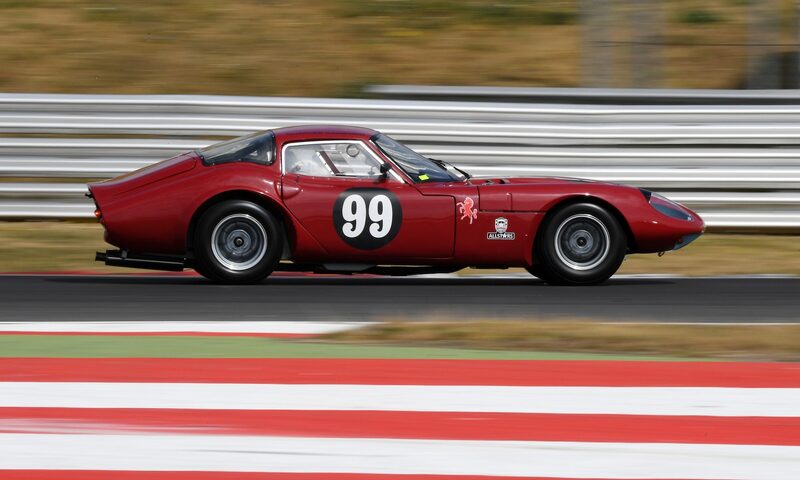 A very rare car with a very rare engine. 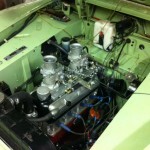 Over the winter Gavin found some extra oomph with a straight through exhaust and air feed to the single down draught carb. 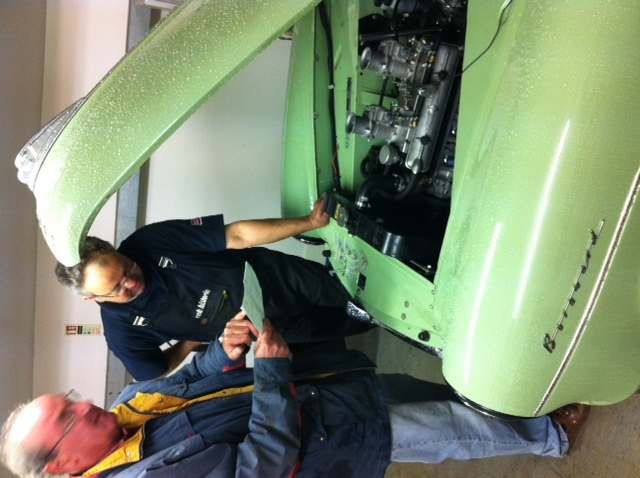 Now he’s got two Solex carburetors. 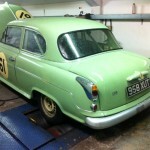 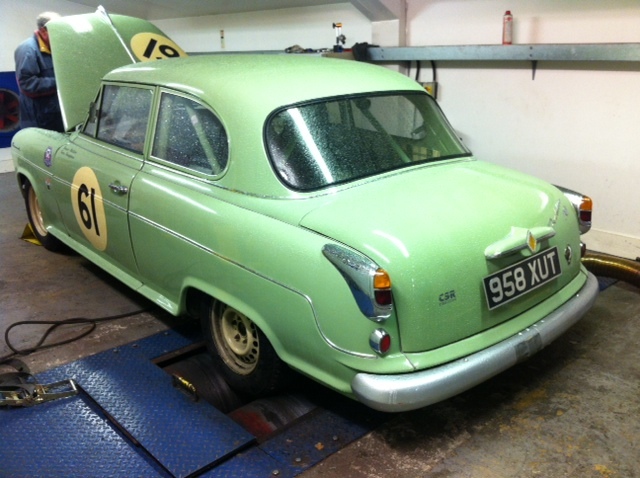 Graham has been working on the rolling road to get the engine running perfectly ready for the HRDC Touring Greats race this weekend at Donington.